Efforts to peacefully resolve the long-standing dispute between India and Pakistan over Kashmir have so far been unsuccessful. The dispute resulted in an armed rebellion in Kashmir in 1989, and tens of thousands of lives have been affected by this protracted conflict. Tensions over the region have also led the two countries to three fully fledged and one low scale war, and continue to threaten peace and security in South Asia. Both India and Pakistan have consistently advocated for dialogue to resolve their differences over Kashmir, as well as other outstanding issues. Several attempts at bilateral talks over the years have been disrupted each time for varying reasons. While the leaderships of both countries agree that negotiations should be “uninterrupted” and “insulated”, terror attacks in India, minor infringements across the Line of Control (LoC), India’s domestic politics and persistent instability in Pakistan, have cast a shadow over the peace process. Furthermore, Kashmiris have been overlooked as major stakeholders in the issue and their exclusion from dialogue exercises has led to growing disenchantment among the population. While it is common to hear about the ‘trust deficit’ between Delhi and Islamabad, the trust deficit that has developed in Jammu and Kashmir over the years is seldom discussed. Although there has been a notable decrease in violence and a shift to non-violent protest in recent years in Kashmir, little effort has been made to seize the opportunity to hold meaningful dialogue at either the India-Pakistan or New Delhi-Srinagar level. Despite the relative calm in recent years, the mood in Kashmir is still highly charged; there is a growing danger that the increasingly disillusioned youth and the sporadic militant activity may become more mobilised. Many in the region fear that there may be a resurgence of violence in the absence of a genuine political initiative. There is therefore an urgent need not only to resume the composite dialogue between New Delhi and Islamabad but also for serious political engagement at the level of New Delhi and Srinagar. The withdrawal of NATO-led forces, ISAF (International Security Assistance Force), from Afghanistan in 2014 could present further challenges, and any potential fallout should be considered and managed by India and Pakistan. process. A quick solution is clearly not possible, but a pragmatic approach building on incremental steps and milestones would be an effective way to create a conducive atmosphere for a genuine and credible process aimed at an amicable solution. Peace initiatives aimed at a peaceful, mutually acceptable solution to the Kashmir dispute have consistently been overshadowed by a constant threat of disruptions – in particular recurring tensions between India and Pakistan. Incidences such as the 2008 terror attack in Mumbai have very obviously derailed the peace process, but even minor incidents of firing across the LoC can be detrimental. Recent incidents between the two armies reveal how single infractions have come to threaten overall working relations. A recent example was the cross-border firing between the two armies in January and August 2013. Its impact could be gauged by the strongly worded statement from the Indian Prime Minister Manmohan Singh, in reaction to the death of two Indian soldiers in January, “After this barbaric act, there cannot be business as usual (with Pakistan)”. Similarly, the National Assembly of Pakistan passed two unanimous resolutions condemning Indian Army shelling at the LoC in August 2013. In response the Indian parliament passed a resolution condemning killings of its soldiers. This also had an impact on CBMs across the LoC and other peace building measures between the two countries. The visa-on-arrival facility was put on hold and Pakistani players in the Hockey India League were sent home. Cross LoC trade on the Poonch-Rawalakot route was also suspended for a couple of weeks. The hanging of Mohammad Afzal Guru, who was convicted of an attack on the Indian parliament in 2001, has reduced the appetite for peace among the population of the Kashmir Valley and in Pakistan, and has strengthened the voice of those that believe a peaceful solution of Kashmir is untenable. 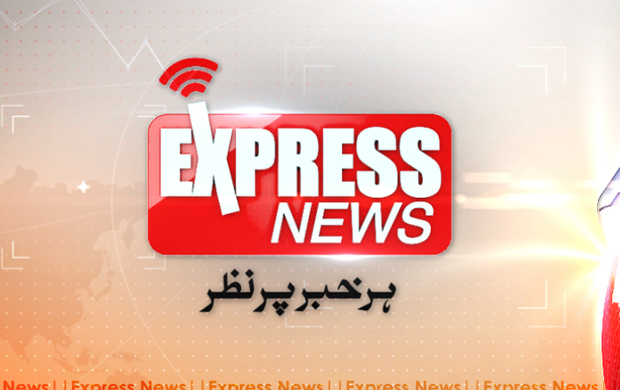 The outgoing Pakistani parliament passed a unanimous resolution condemning Afzal’s hanging. In response, a resolution was unanimously passed in both houses of the Indian Parliament reiterating that Jammu and Kashmir was an “integral part of India”. Such a sequence of events is typical of the escalatory dynamic that so often characterises Indo-Pak relations. There is some concern that when US forces withdraw from Afghanistan by 2014 Kashmir may become another fighting ground for insurgent groups. Reference is often made to the link between the birth of al-Qaeda and the withdrawal of Soviet forces from Afghanistan in 1989, with fighters supposedly looking for a “cause” in other places. While there is no direct history of Afghan fighters becoming part of the Kashmiri militant movement in the past, the possibility that Kashmir could serve as a rallying ground for Afghan fighters post- withdrawal cannot be discounted. The fear is that this would divert attention from the indigenous “political movement” in Kashmir. Much will depend on how Afghanistan is able to manage its stability after the withdrawal but there is a need for India and Pakistan to prepare for any such eventuality. There is also concern that the withdrawal may lead to a different challenge. India and Pakistan are increasingly at loggerheads over their ‘competing roles’ in Afghanistan. The withdrawal of ISAF troops may heighten tensions between the two countries, and adversely affect the prospect of a productive peace process vis a vis Kashmir. India has also expressed concern over Pakistan’s potential role in Afghanistan. In particular there is a fear that Afghanistan could turn into a Taliban-run state, backed by Pakistan – a scenario that would adversely affect India’s security and regional stability. On June 24, 2013, US Secretary of State John Kerry endeavoured to ease India’s concerns about the impending withdrawal of US troops from Afghanistan as he embraced a greater role for the regional power. New Delhi and Islamabad should also take up the issue directly with each other, ideally at foreign minister level, and begin a constructive process of developing a consensus on their respective roles in Afghanistan. In general there is a growing consensus among both Indian and Pakistani leaderships of the value of resolving the Kashmir issue peacefully. However, hardliners are a major part of the discourse on both sides, and moderates are less visible. As general elections approach in India, Kashmir has returned to public discussion. Right wing parties such as Bhartiya Janta Party (BJP) have a clear line on Kashmir and Pakistan. Although its former Prime Minister, Atal Bihari Vajpayee, took the peace process to new heights during his leadership from 1999-2004, the party is currently averse to any peace making efforts with Pakistan and to a reconciliatory approach towards Kashmir. However there are a number of political parties, as well as a sizeable section of civil society, that are in favour of dialogue and peace with Pakistan. The Congress Party, which has been ruling the country since 2004, has yet to make its position clear given the electoral threat from BJP. But it has not closed the doors on dialogue with Pakistan, particularly in light of the new government led by Nawaz Sharif. election campaigns the parties were concerned with addressing issues such as corruption rather than relying on anti-India rhetoric, as is often the case. Nawaz Sharif’s return to power in Pakistan is potentially a positive development for any impending peace process, given that he had initiated a process with India in 1999 and signed the Lahore Declaration with Prime Minister Vajpayee. He has already stated that he would pick up the threads from the derailed process. Sharif is likely to be positively received in New Delhi. Additionally, two other major political parties –­ the Pakistan People’s Party (PPP) and Pakistan Tehreek-e-Insaf (PTI) support reconciliation with India and a peaceful settlement of the Kashmir issue. However, Nawaz faces resistance from the established anti-India lobby who supported him in the election, and he will have to manage these alliances carefully. To engage the broader anti- India constituency in Pakistan will also require reciprocity and good will gestures from the Indian establishment. In Pakistan, the army and the intelligence agency Inter Services Intelligence (ISI) has traditionally provided the lead on Kashmir. The civilian government in Pakistan needs to initiate a broader dialogue on Kashmir within its own institutions, in particular the army and the ISI, and develop a common consensus. This will ensure that all stakeholders pursue a coherent policy line instead of sending confused signals that impede goodwill promoted by the political leadership. Cohesion in Pakistani policy aimed at resolving Kashmir through dialogue is a must. Again, this has to be matched by some measure of confidence and reciprocation by the Indian government. Neglected Confidence Building Measures (CBMs) CBMs across the LoC have been a positive product of the peace process that began with the ceasefire in November 2003. While the ceasefire brought relief to thousands of people living along the LoC, subsequent measures such as the cross LoC bus service and trade have been a huge boost to the process. However, there have been no sustained efforts to institutionalise the CBMs and ensure they enjoy more than mere symbolic value. The Muzaffarabad-Srinagar bus service, initially started in April 2005 as a fortnightly service, became bi-weekly in August 2008. Following its success, a Poonch-Rawalakot bus service was then launched in June 2006, with cross LoC trade allowed and travel frequency increased in 2008. In six years, the bus service has played a part in reuniting over 16,000 Kashmiris divided by the LoC. These two initiatives have produced unprecedented goodwill and the possibility of personal interaction between those living on either side of the LoC. It allows those from both sides to have a better understanding of each other’s situation as well as share their aspirations for a common future. Indeed, a number of ex-militants have become involved in LoC trade, distancing themselves from violence. Despite these positive aspects, India and Pakistan have failed to capitalise on the potential of the CBM’s as peacebuilding measures. The two countries have failed to extend the service or increase its frequency, or make travel easier. Indeed travellers have often complained that Indian authorities are more stringent when clearing travel documents, resulting in a smaller number of passengers entering Kashmir. 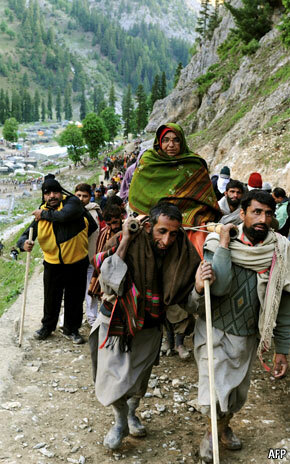 In July 2011, the foreign ministers of India and Pakistan agreed that travel would be expanded across the LoC to include tourism and religious pilgrimage. In this regard, the modalities have not been worked out thus far. And although in recent years India and Pakistan have sought to improve their bilateral trade relations, they have failed to recognise the potential of one of their most important CBMs on Kashmir: the cross-LoC trade. This has yet to be converted from barter status to a normal trading pattern. It has also suffered from procedural obstacles such as restrictions on the number of tradable items, and a lack of infrastructure including banking and communication facilities. If the two countries nourished this trade, it could play a key role in reducing tensions along the LoC and helping to stabilise relations. Trade and travel across the LoC is, arguably, the only CBM which directly benefits the people of Kashmir. It creates stakeholders on both sides and allows greater human interaction between the populations living on either side of the man-made divide. In many instances, economics has played an important role in promoting conflict resolution. The economic and political elements of peace processes cannot be separated. While CBMs will not resolve conflicts, they can help create an environment for their solution by helping to build trust and good will between conflict parties. Kashmiri youth have borne the brunt of armed conflict; many lost their lives after taking part in the armed militancy, while a commitment to the political movement has brought with it other challenges. With little movement by India and Pakistan towards resolving Kashmir, cynicism is increasing among Kashmiri youth. And the more they feel alienated the less conciliatory they feel towards India. The shrinking of democratic space and intimidation by security forces has further led to a sense of estrangement. Meaningful engagement of youth at all levels is severely lacking; measures intended to offer economic incentives have not yielded positive results. In 2010, 120 people (mostly youth) were killed by police and paramilitary forces during protests; this was seen as a complete disregard for efforts to protest in a non-violent and democratic way. State policies, including arbitrary detentions and the indiscriminate use of the Public Safety Act, have also contributed to feelings of resentment and anger. There is a particular concern over greater incidences of educated youth resorting to violence. In May and June 2013 at least six young men, who had professional and technical degrees, were killed in encounters with government forces. This requires urgent attention. 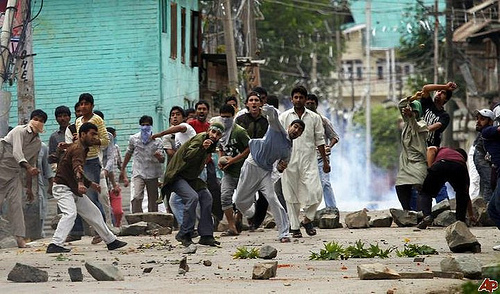 Indian politicians have recognised the need to bring Kashmiri youth into the mainstream and help them benefit from the economic progress of the country. However, the prevalence of corruption in the system has led to a greater sense of disappointment among youth. This is heightened by the disconnect felt by youth towards mainstream Kashmiri political parties. Many young people are politically aligned with the separatist movement, and there is a widespread belief that pro Indian parties are self-serving and do not wield the power to actually redress their political and socio-economic grievances. Sporadic militant activity in Indian administered Jammu and Kashmir is a reminder that militant outfits are still present and capable of striking at any time. Public support for militancy has drastically reduced but it has not disappeared. While a non-violent peace movement appears to have replaced the previous phase of violence, the political space for a sustainable and effective peace movement to develop has increasingly shrunk. Both the government of Jammu and Kashmir and the Indian government have failed to consider that a restraint on, and a lack of support for, political and peaceful efforts may push an element of society to extremism, and that the situation may revert to the militancy of the 1990s. Deep public discontent and the heavy-handedness of security forces magnify the volatility of the situation. To avoid this, New Delhi and the Kashmiri leadership should think more creatively. New Delhi needs to recognise the right of people to pursue a peaceful political movement even if it challenges Indian rule in Kashmir. The demand for repealing the controversial Armed Forces Special Powers Act (AFSPA), which gives far- reaching powers to the Army operating in Jammu and Kashmir, has also grown louder. The Chief Minister of Jammu and Kashmir, Omar Abdullah, has publically said, “hindrance is coming from the Army. There is nothing hidden in it,” in response to a question on why the controversial law was not being revoked. It is widely believed that this Act is being used to protect forces who have committed human rights violations while fighting militancy in the state. The government should allow space for the dissident leadership to engage communities, and particularly youth, in explicit political activities. A reduction of forces and withdrawal of repressive laws particularly the AFSPA and the Public Safety Act (PSA) would help create a conducive environment for political forces to emerge. Stalemate at the political level Despite several rounds of talks between India and Pakistan, and between the leadership of Jammu and Kashmir and New Delhi, there has been no sustained engagement. From 2004-2007, a section of Kashmir’s separatist leadership was engaged by New Delhi and Islamabad on a regular basis. Several Kashmir leaders met former Indian Prime Minister Vajpayee and subsequently Manmohan Singh. Some of them also travelled to Pakistan and met with the then President Pervez Musharraf. Pro-India Kashmiri leaders including present Chief Minister Omar Abdullah and Peoples Democratic Party (PDP) leader Mehbooba Mufti also met Musharraf. Likewise, former Prime Minister of AJK Sardar Abdul Qayyum Khan went to New Delhi to attend a conference where he met Manmohan Singh in April 2007. This informal process of consultation evoked mixed reactions. While some people saw it as a positive development towards the Kashmiri perspective being incorporated into the process of finding a solution, others believed it was simply paying lip service to the inclusion of the Kashmiri voice. for not coming forward with concrete proposals to discuss, the latter accused India of not being sincere in even accepting minor demands for the release of prisoners. In Kashmir, the separatists have been criticised for engaging in a “useless” process with “no outcome” to the talks; this vindicated those extremists who had at the outset rejected the process. the process, so that no incident, no matter the magnitude, will derail it. It is, however, important that there is a sense of ownership by the people of Kashmir; all stakeholders must come on board to ensure positive steps forward. * Islamabad and New Delhi need to integrate the people of Jammu and Kashmir into the peace process through a wider process of consultation with civil society and political groups. 33The leadership of both sides, without any exclusion, should be properly briefed after each round of dialogue between India and Pakistan. * Peaceful and non-violent dissident voices need to be encouraged to come to the dialogue table. Likewise, the Kashmiri leadership has to be more imaginative to put across its message peacefully. It needs to reiterate its commitment to the peace process and dialogue so that the faith of the young population in the process could be revived. * Pakistan should encourage All Parties Hurriyat Conference (APHC) and its affiliated groups to engage in dialogue within the state and with Islamabad and New Delhi, so that a common minimum agenda can be formulated. *Phased demilitarisation and revoking of laws including AFSPA and PSA must be started. *Existing CBMs should be strengthened and new CBMs, including religious pilgrimage and tourism, introduced for increased peacebuilding prospects. *Efforts to promote the deradicalisation of youth should be initiated at all levels. Youth engagement is a must. *There has to be a broad-based approach so that consensus and a common agenda from people across the LoC can be formed. Intra-Kashmir dialogue and people-to-people contact between the people of the divided region is a pre-requisite to this. Intra-regional dialogue must be initiated to ensure communal and regional harmony. *The LoC ceasefire announced in November 2003 should be respected in letter and spirit by both governments. A joint mechanism needs to be devised to limit LoC violations and, in the event of an incident, to promote joint investigations at military as well as foreign office level. The killing of civilians must be discouraged at all levels. Note: Kashmir denotes the erstwhile state of Jammu and Kashmir comprising Indian and Pakistani Administered Kashmirs and Gilgit Baltistan. (CBMs), trade across the Line of Control (LoC), the withdrawal of NATO-led forces from Afghanistan, and youth engagement – to provide more in-depth analysis and practical policy recommendations.